Chocolates – What is the first thought that pops into your mind with this word? Definitely a piece of love, happiness, and heaven. Can you remember the first time you held a chocolate bar in your hand? It’s difficult to remember because chocolate has become more like oxygen. The taste of chocolates is undoubtedly something that makes anyone fall in love with it. But one very important factor behind this humongous popularity of chocolate is the innovative, heart-touching, and “feel-good” TV commercials. For example- Cadbury has a history of beautifully captivating festive feelings and emotions during special occasions like Bhai Dooj, Rakhi, Diwali, Birthdays etc. The demand for chocolates goes up due to the power of these adverts that tell you that in order to make a day special, you need them. When you see some models or actors in an act on TV and relishing on the mesmerizing taste of chocolates – you also somehow want that bar of chocolate! Sale of the chocolates, a fast moving consumer good has increased through offline channels. However the online market is not far behind. Big E-commerce giants like Amazon, Big Basket, Ferns N Petals, Natures Basket, Grofers etc. have multiplied their online chocolate sale manifolds with the help of correct advertisement strategies. In fact some online platforms like Ferns N Petals also provide the opportunity of same-day delivery of chocolates that upsurges the happiness quotient. People recognize brands due to these heart touching and sometimes quirky TVCs. These TVC’s of chocolates helped a lot in positioning them in people’s mind. A new TV Ad just before the Diwali celebration by Cadbury would make you recognize the brand more. A chocolate is an FMCG and as per the advertising rule book, to position this product, the human emotion has to be touched. The chocolate brands do just that in a prolific manner. “Kya Swaad Hai Zindagi Ka”, “Have a Break, Have a Kit-Kat”, “Shubh-Arambh”, “Kuchh Meetha Ho Jaye” – are some of the brilliant taglines that have helped chocolates to sustain in the market of stiff competition. As the basic aim of a chocolate brand is to pinch the sweet human emotions, these taglines were tallied with Advertisement content that said the story of love, friendship, romance, moments of victory, college fun, nostalgia, or memorable celebrations. 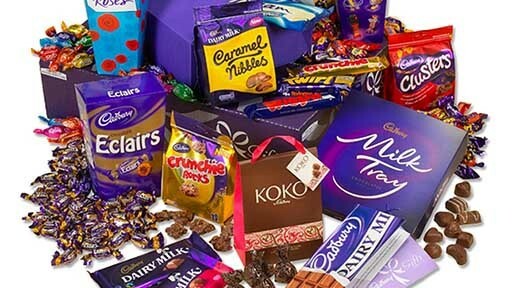 Cadbury is one of the best chocolate brands in the world and it has maintained its fame over the years. The taste is still delicious and it never fails to surprise you with a freshness or uniqueness with their latest range of chocolates. Cadbury was established in the year 1824 by John Cadbury and today it is the one of the largest chocolate company in the world. It was taken up by Mondelez International in 2010. The TVC’s of Cadbury had always been heart-warming and their overall fame has just got bigger and better with each innovative TVC. Remaining at the top of its game is always a challenge especially in a time when people are becoming more and more health conscious and preferring less sugary items. One of the recent advertisement of Cadbury features a little girl who wants to make her mom feel special on her birthday. https://www.youtube.com/watch?v=5bK-GRNcP64 Ads that talk about the simple human emotion of love and friendship would always be remembered. Voila! And this is where the success story of Cadbury lies. Another TVC of Cadbury, 11 years down the line, in 2007 featured a gorilla playing drums to Phil Collins’s 1981 sensational hit “In the Air Tonight”. https://www.youtube.com/watch?v=9t1ru2P6-nE – This Ad became viral and till date is touted to be one of the best ads in the history of Advertisements. It later went on to become UK’s favorite ad ever and won some awards too. Now, nowhere in the ad, there was any mention of Cadbury or Chocolate or usage of any quirky line (as is done today). The idea was simply to make the customers feel good and once they feel good watching something they would automatically attach themselves with the brand. Along with the brilliant TVC’s, Cadbury has also opened its “Glass and a Half” pop up shop in London’s Soho where the customers could trade in their own knick-knacks in exchange for bars of Dairy Milk. This shop also sells Cadbury-themed newspapers and postcards to their visitors so that the brand name is forever etched in the mind. There is of course a marketing angle behind this idea of Pop-up shops but there is also a philanthropic element which simply helped in broadening the appeal for consumers. All the unwanted things are given to charity and people are enjoying sweet Cadbury chocolates – that’s where Cadbury proves again that it is more than just a brand! In Australia, Cadbury came up with another sensational ad campaign that helped them maintain their numero uno position. This is the time of social media and thus each and every brand is working double harder than they used to do while making TVC’s only. Cadbury realized this truth and came up with this “Flavourism” ad from Australia that achieved humongous success. Cadbury thus partnered with Idomoo to create a mobile driven campaign based on personalized video. It developed a “Flavour Matcher” app which permitted the users to find out their personality type by picking up their desired flavours. The participants received a personalized video based on photos and information gathered from their Facebook profiles and they could tag & share on social platforms. Reports say that this campaign engaged people in a huge way. 90% people who received a video watched it till the end, 65% clicked, and 34% offered their data for competition. In today’s time of stiff competition or in the world of “being online” is really easy and tough both. To remain in its top position, Cadbury brought “Chocolate Charmer” https://www.youtube.com/watch?v=kIwIdzTedts online ad campaign and that served them really well. It provided a ROI 4 times higher than their TVC. Cadbury invested only 7% of its budget and garnered a 20% sales. This campaign was planned so that the TV and online world could counterpart each other in terms of formats used and the way it was targeted. The TV campaign coverage was much calmer and composed, leaving room for the online placements to make an impression. So whilst TV reached the masses, the online advertisement worked wonders to target new and exclusive audiences, delivering 19% additional reach.